Monthly charges are after AutoPay discount which starts within 2 bill cycles. * Taxes, fees & other monthly charges are extra. Rollover Data—the plan data you don’t use this month rolls over for use in the next month. Stream Saver lets you stream webinars, training videos, and more at DVD-level quality (about 480p). Unlimited number of domestic calls and texts. Unlimited texting from the U.S. to over 120 countries on all plans. Unlimited talk from the U.S. to Mexico & Canada on 10GB plans or higher. No roaming charges for plan voice, text, and data use while in Mexico on 10GB plans or higher. *Overage charges & data speeds: There are no overage charges. After all of your high-speed data is used (including any optional Data Packs), all data usage is slowed to a max of 128Kbps (2G speeds) for the rest of the bill cycle. Audio and video streaming, picture and video messaging, and other data usage, including sponsored data, will be impacted and may not be fully functional. See att.com/broadbandinfo for AT&T’s network management practices. †Total monthly charges shown in table include the $20/mo. (3GB to 20GB plans) or $15/mo. (30GB and higher plans) per-line access charges for smartphones purchased at full price, on a qualified installment agreement, bring your own, or on a month-to-month term. Applicable per-line access charges for smartphones with a 2-year service commitment are $40/mo. (3GB to 20GB plans) or $35/mo. (30GB and higher plans). Device costs not included. If you’re looking for a clear LTE signal and fewer dropped calls, then you need an AT&T business wireless plan. 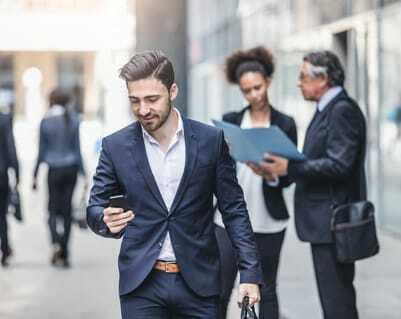 You and your team will never be far from a great connection with access to thousands of Wi-Fi hotspots nationwide. Give your business a boost with a wireless plan from AT&T. *Based on GWS OneScore Sept. 2018. Excludes crowd sourced studies. 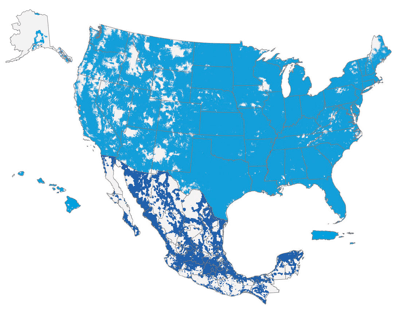 Map based on coverage in U.S. licensed/roaming areas. Map estimates coverage. Compatible device req'd. Coverage not avail. everywhere. AT&T’s 4G LTE coverage is not equivalent to its overall network coverage. 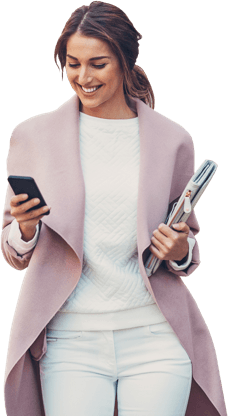 With the strongest signal available*, your employees can talk, text, and check emails from pretty much anywhere. Stay connected wherever your business takes you with reliable coverage from AT&T. You’ll enjoy nationwide calling and be able to share minutes and data across phones. Map based on coverage in U.S. licensed/roaming areas. Map estimates coverage. Compatible device req'd. Coverage not avail. everywhere. AT&T’s 4G LTE coverage is not equivalent to its overall network coverage. With AT&T Next®, the cost of your phone is divided into 30 monthly installments. You’ll be eligible for an upgrade or trade-in once you’ve paid 80% of the full retail price. AT&T Next Every YearSM splits the cost of your phone into 24 monthly installments. You’ll be able to upgrade or trade-in once 50% of the full retail price is paid off. Pay outright or finish paying with monthly installments, keep your phone, and purchase a new one any time. © 2018 AT&T Intellectual Property. AT&T, the AT&T logo and all other AT&T marks contained herein are trademarks of AT&T Intellectual Property and/or AT&T affiliated companies. All rights reserved. Subsidiaries and affiliates of AT&T Inc. provide products and services under the AT&T brand.